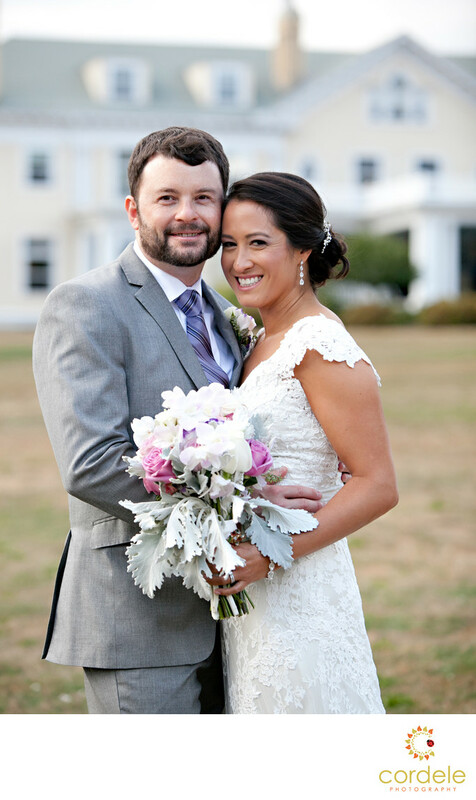 Endicott Estate is in Dedham Ma and the venue is a huge house with sweeping porches. The bride and groom wanted to be sure they got a photo with the house in the back. These photos remind me of the Great Gatsby and what life would have been like back in the day. Her flowers tied into his suit nicely and she looks as elegant as her boutique. The weather really held out for them and they got a beautiful day. Unlike their engagement photos that were shot on a cold cold winter day!